When Shock Totem put out a call for filmmakers who’d like to have their work featured on the site, I bet that they didn’t expect to get anyone near as accomplished as Jeremiah Kipp. Kipp, a short film writer/director, meshes art film heft and horror film content with a polish and style all his own. The combination seems to be working out for him as his work has been featured in festivals and garnered numerous awards. Jeremiah sent us three films and was kind enough to sit down with me for some questions. Check out the films embedded below (WARNING: NSFW content) and then read on for our conversation. 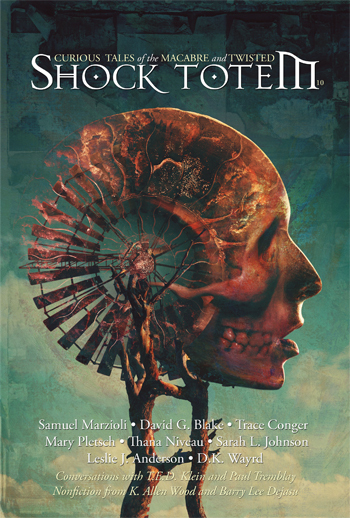 Adam Cesare: The three films you sent to Shock Totem all share elements of genre films, but I wouldn’t call any of them genre. Are you a fan of the horror genre? How would you classify your work? Jeremiah Kipp: I love horror movies and have found it to be a wonderfully flexible genre. What’s interesting to me is when Mary Shelley wrote Frankenstein, they called it a romance, but not in the Hallmark sense of the word. Romance at that time meant it has sweeping elements of the fantastic. And how would you classify a movie like Don’t Look Now, the intensely dark story of a couple in Venice haunted by the death of their child and perhaps communicating with her beyond the grave? It feels like a drama and yet has a sense of tension and terror. I would call it a horror movie. I feel like the films I’m making might fall into that category. I’d be proud to have them called horror films, but am content if people find them to be beautiful and macabre.